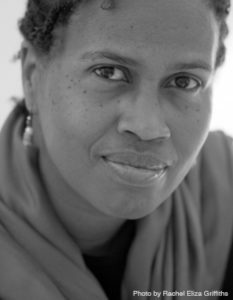 Chicago—Haiku Festival welcomes Guest Poet Janice N. Harrington Saturday, 27 April 2019, 10:00 AM, at Harold Washington Library Auditorium, 400 South State Street. The program includes Tsukasa Taiko Legacy (Japanese drummers), Hyde Park Suzuki musicians, and award-winning young poets for Haiku Festival’s 15th Annual Awards Program. Harrington writes poetry and children’s books. She grew up in Alabama and Nebraska. Both settings, especially rural Alabama, are featured in her writing. Harrington won a National Endowment for the Arts Literature Fellowship for Poetry and a Rona Jaffe Foundation Writers’ Award for emerging women writers. Her children’s books, Going North (2004) and The Chicken Chasing Queen of Lamar County (2007), won many awards and citations, including a listing among TIME Magazine’s top 10 children’s books and the Ezra Jack Keats Award from the New York Public Library. Harrington’s first book of poetry, Even the Hollow My Body Made Is Gone (2007), won the A. Poulin, Jr. Poetry Prize from BOA Editions and the Kate Tufts Discovery Award. Her second book of poetry, The Hands of Strangers: Poems from the Nursing Home, came out in 2011, and her third book, Primitive: The Art and Life of Horace H. Pippin, appeared in 2016.